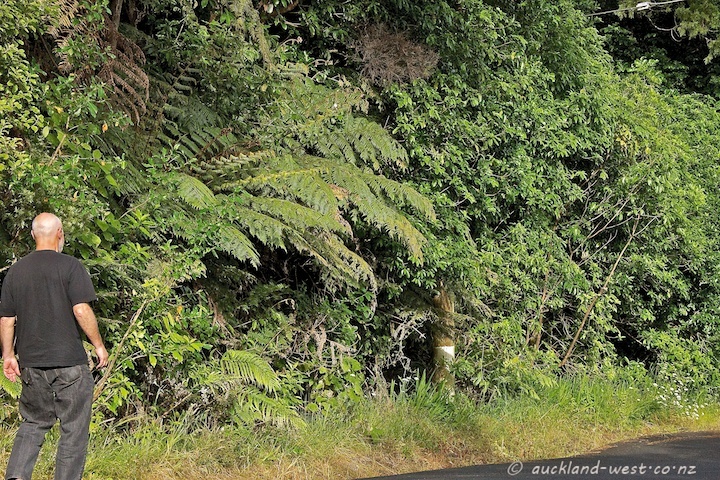 Like many streets in Titirangi (“Fringe of Heaven”), ours is embedded in the bush, with tree ferns, coprosmas, kanuka trees and kahikateas and more. 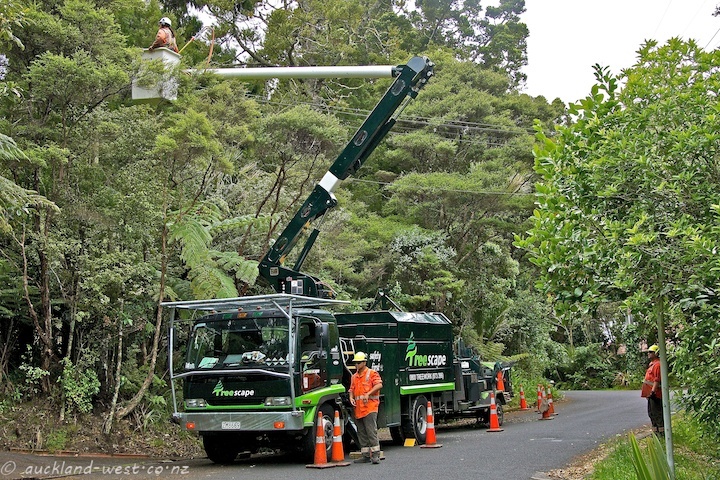 Occasionally there is some action, like the guys from TreeScape below, making sure that mother nature does not completely smother us (or our power lines). The theme for December of the City Daily Photo community is “My Street”. Click here for thumbnails of participants. Beautiful street, a nice place to live. looks like a peaceful street, like it. Kia ora! Such a beautiful and exotic street – a very beautiful place. Mother Nature wants to take that macadam street back. A great photo and wonderful interpretation of the theme. This is so lush – it’s really beautiful! The trees beyond the TreeScape workers are huge! It looks like a perfect growing climate. Wow that is a green street. The top photo reminds me of the “Running from Camera” blog in which a Dutch chappy puts the self-timer on 2 seconds, pushes the button and tries to get as far from the camera as he can. I did not make it very far, then, jb. Is lovely to live so near to nature, do you often see animals crossing the road there?